1943 Walter Obos was born in Chicago, IL on 28 April 1926 to Joseph and Genevieve Obos who came to America from Poland. 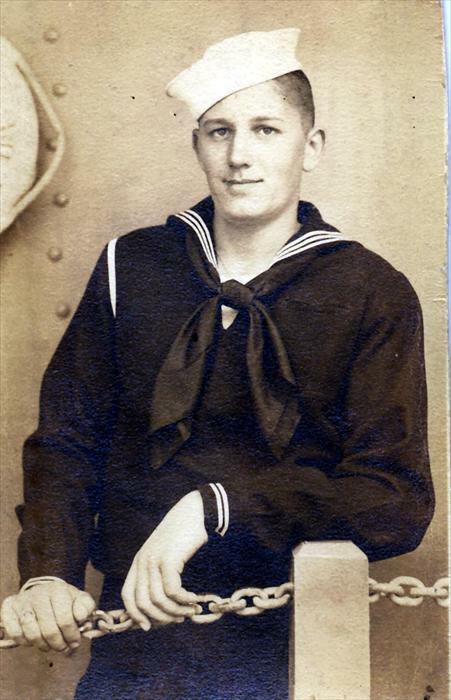 He was attending Lane Technical High School but left to enlist as an Apprentice Seaman (AS) for two years at age 17 (parent’s permission) on 24 Aug 1943 and was sent to the US Naval Training School in Farragut, Idaho. He received basic military naval training to become a Hospital Apprentice and a Pharmacist's Mate. Ironically, he worked in a sewing machine factory during high school spooling sewing machines. 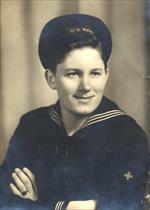 6/6/1944 Walter Obos served as a medical corpsman on the USS LST 512 and participated in the D-Day Invasion. His ship landed in the Easy Red Sector of Omaha Beach in Normandy, France June 6th, 1944. He continued in follow up shuttle service for injured soldiers which transported them to England for medical treatment. 1945 Walter was destined for additional service at Samar Island in the Philippines and was there by March 1945. In May, he is assigned to Navy 3002 Subic Bay, Luzon, Philippines. He remained in the Pacific for almost one year. 1946 February 1946 Wally was awarded several medals before being transferred back to California. Walter reported aboard the USS Marvin H. McIntyre for transport to the U.S. On February 11th. The ship departed Manila, called at Subic to embark passengers and then proceeded on to the west coast. On 03 Mar 1946 he arrived at U.S. Naval receiving station, Treasure Island, San Francisco, CA. 06 Mar 1946 he was granted 30 days leave to return home. On 09 Apr 1946 he was transferred to Great Lakes, Illinois for discharge. He was recommended for re-enlistment, but declined. He was a Hospital Apprentice First Class and received an honorable discharge on 12 April 1946 at Great Lakes in Chicago, IL. He comes from a family of Navy veterans and remained active in the VFW (Veterans of Foreign Wars). The ship LST 512 Burnett County. Walter in uniform, unknown location.